Sold by Forward Press (4.9 out of 5 stars | 21 ratings). Here, finally in English, is the authoritative history of the Dalit Panther movement. Dhale and Dhasal have already published their versions. So what makes Pawar’s “autobiography” of the Dalit Panthers the authoritative history? Firstly, he was one of the two fathers of the movement, giving the new group its now famous name. As general secretary of the group he maintained all the correspondence and documentation. In addition, he had access to the government of Maharashtra archives, including both police as well as intelligence reports on the Panthers during its short existence. What Pawar humbly calls a “sketchy history” of the Panthers actually puts the organization and movement within the context of post-Ambedkar Dalit society in Maharashtra, particularly its issues and challenges – socio-economic, political and, above all, psychological. This is where the skills of a novelist (author of Balidaan) serve to put flesh and blood on the bones of dry historical facts. This volume in English makes this critical work available to students of modern Indian history and especially of subaltern Dalit movements. There are many valuable lessons for all Bahujan activists. No personal or academic library will be complete without it. 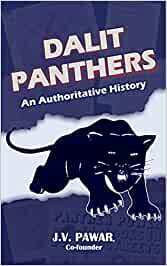 Start reading Dalit Panthers: An Authoritative History on your Kindle in under a minute. This enlighten our knowledge about Dalit Panther movement in Maharashtra. Still there is a need of Dalit Panther movement in India which is United and honest! Is it possible?